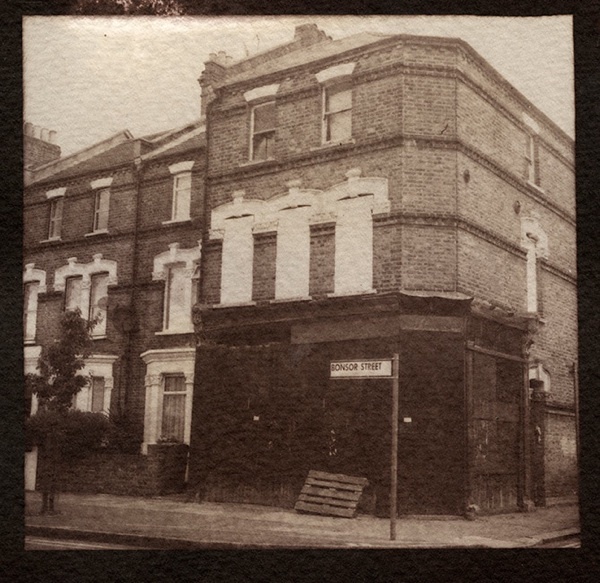 Complementing Antony Cairn’s elegaic series of East End Pubs, today I present his ethereal portfolio of shops, created using the same nineteenth century Vandyke Brown process, and evoking those commercial premises which exist as receptacles of collective memory for the communities they served. 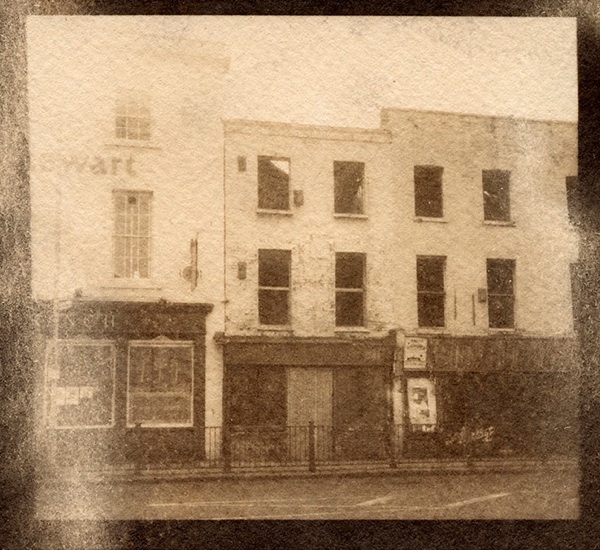 The first picture is of The Handy Shop, Tony’s first local shop when growing up in Plaistow, and the last picture is W.F.Arber & Co Ltd in Roman Rd, of which my friend Gary Arber is the proprietor. 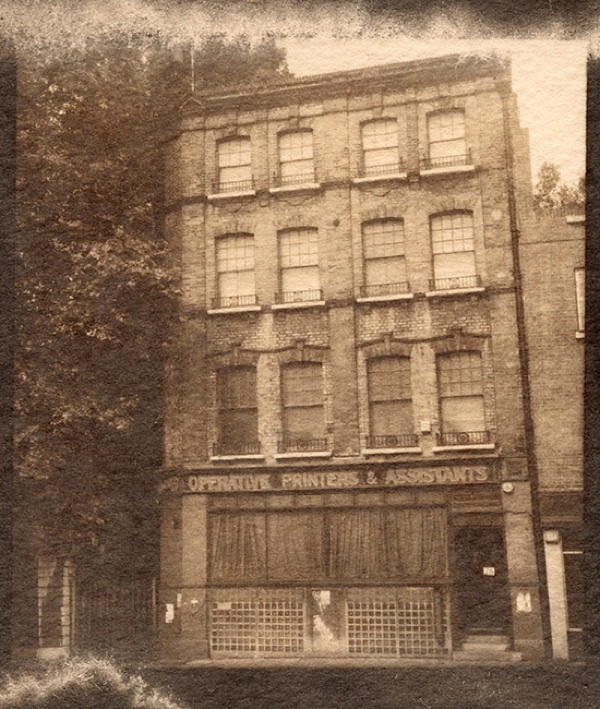 The photograph captioned Printworks is the old Natsopa Union Offices which, unfortunately, has recently been demolished. 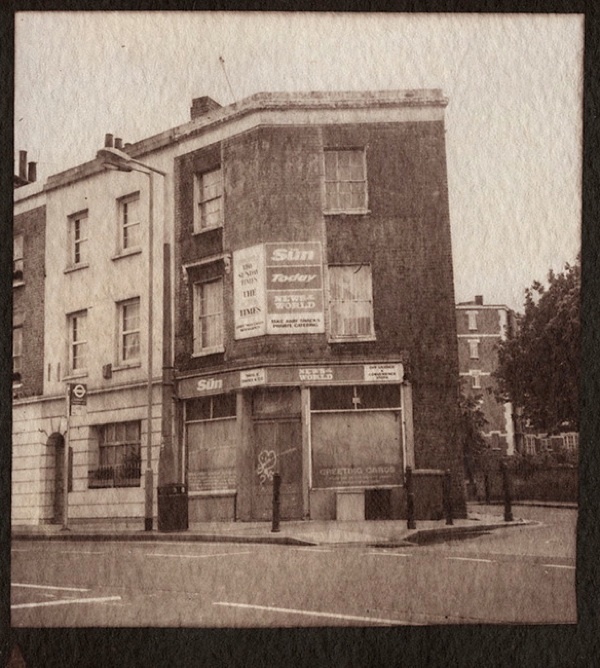 The dairy shop in Warren Street is still there, it’s a cafe now but they have kept the old signage. Gosh – better effects than Instagram! 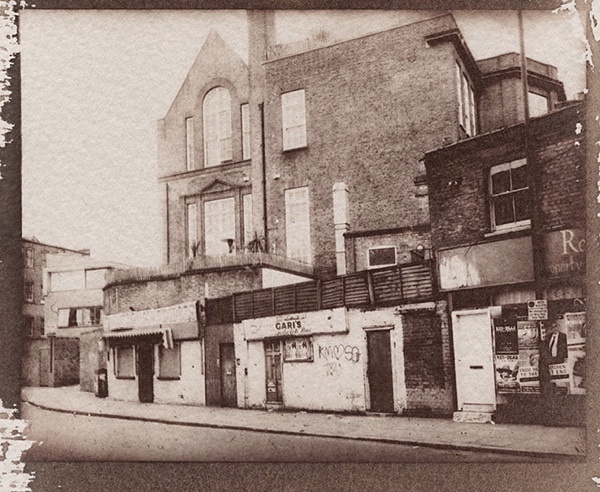 I think that the photo captioned Printworks, Blackfriars Rd, SE1 is actually a sign that would have started round the corner of the shop and read The National Society of Operative Printers and Assistants (NATSOPA) – in the trade they were known as natties. 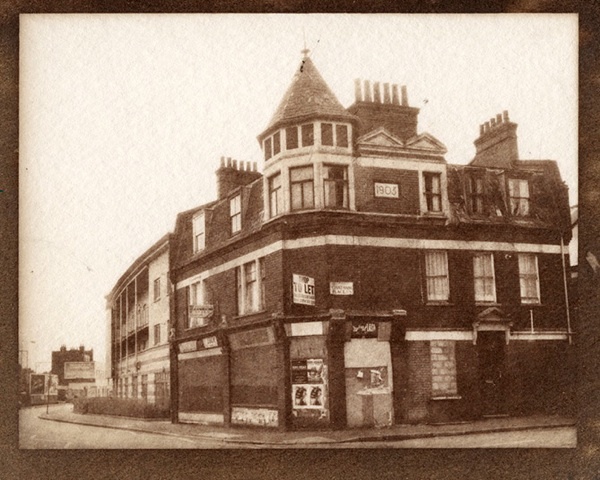 The buildings in Northwold Road N16 are all still there. 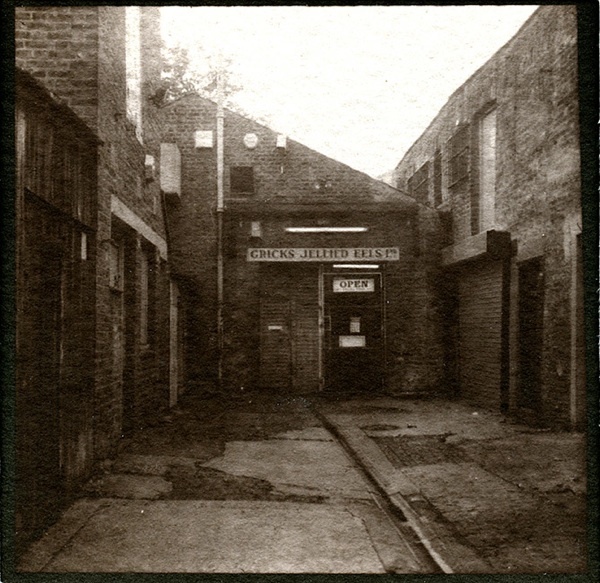 the Victorian building behind the shops was a school which has been converted into flats. 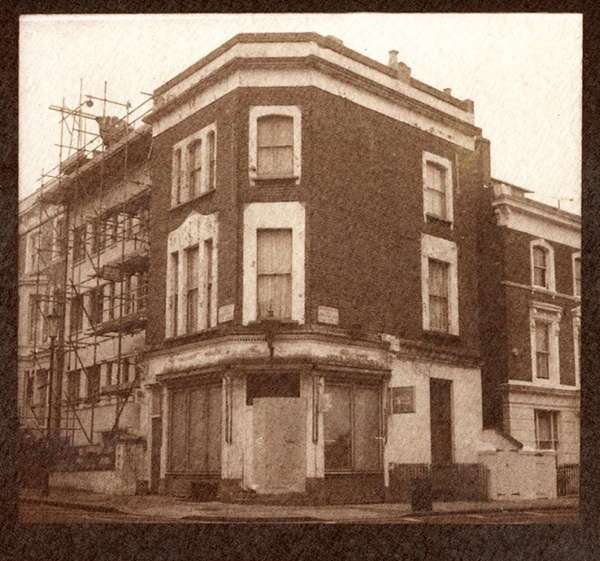 The single storey building with the sign Caris is now a space which sells fridges – aptly named Sellfridges! 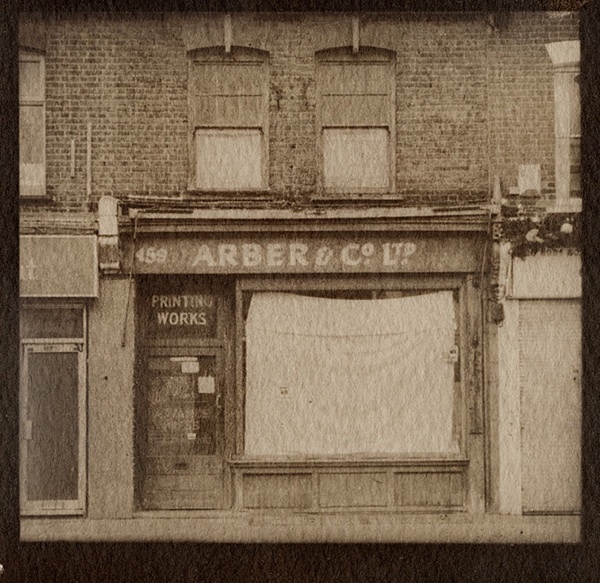 The picture of my shop was taken on a weekend when I had an old orange flysheet from a tent covering the window when the shop was shut, the sheet finally disintegrated due to sunlight. 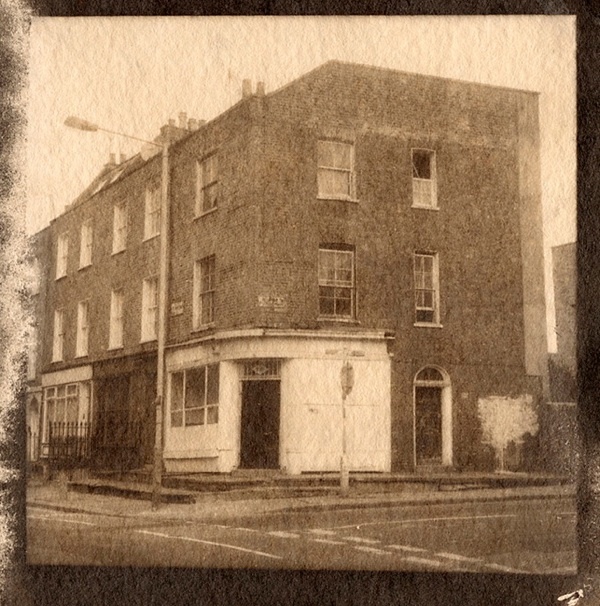 It was in a pretty good condition in that picture so I estimate that it was taken in the 1970′s. 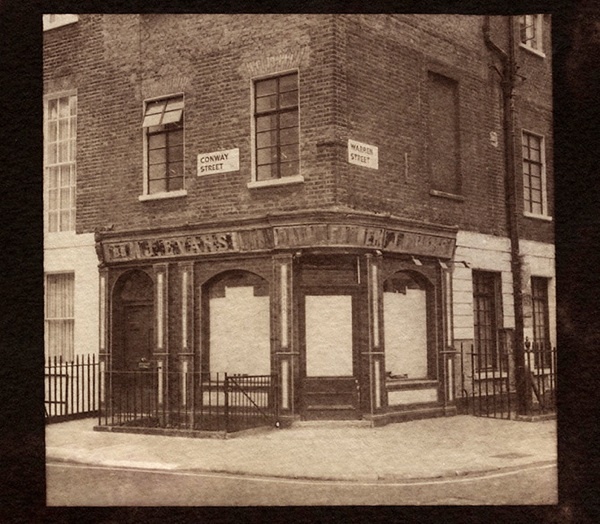 I believe M.J. Evans, Warren St, W1 still exists and may now be a smart cafe. 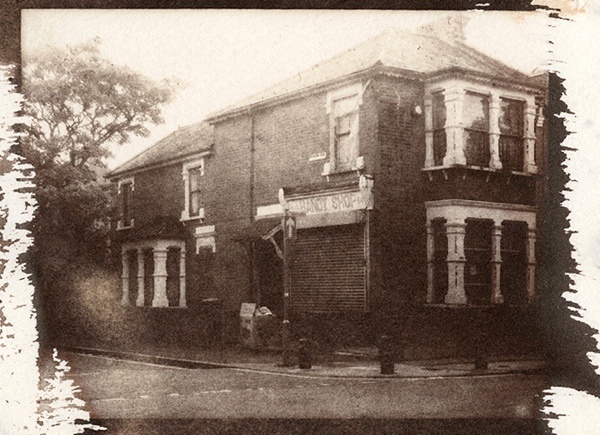 More wonderful photographs that capture those bygone days that are now, sadly out of reach but yet, can still be felt by your senses! 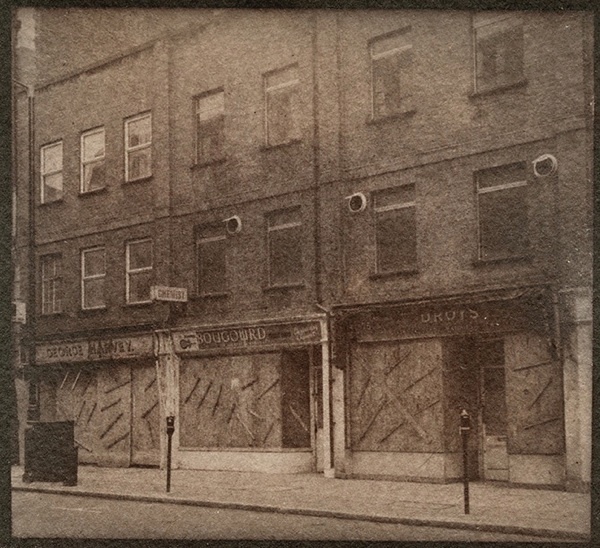 The unknown shops in Hackney road,where a mens tailors shop,and mens out fitters,both up market,for the 1950s remember them well. 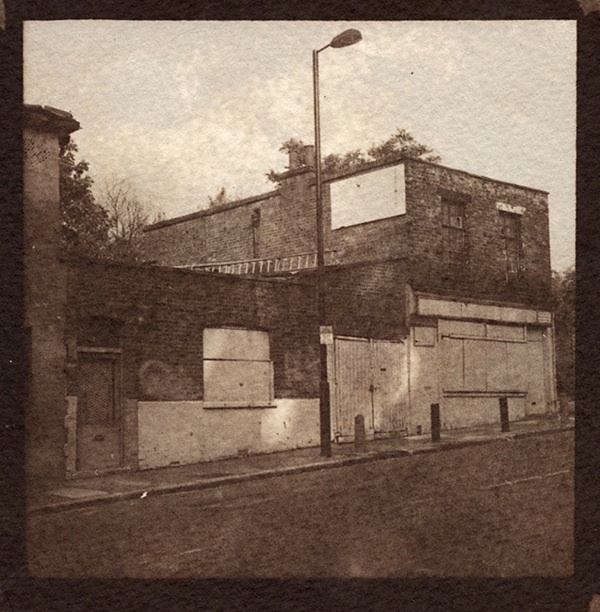 The Oswin Street shop is not in Oswin St SE11. 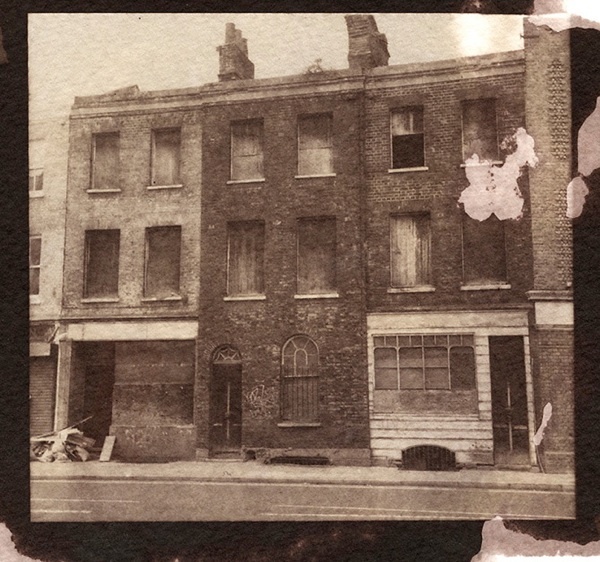 I know I lived in the old shop in Oswin st. That looks more like West London? 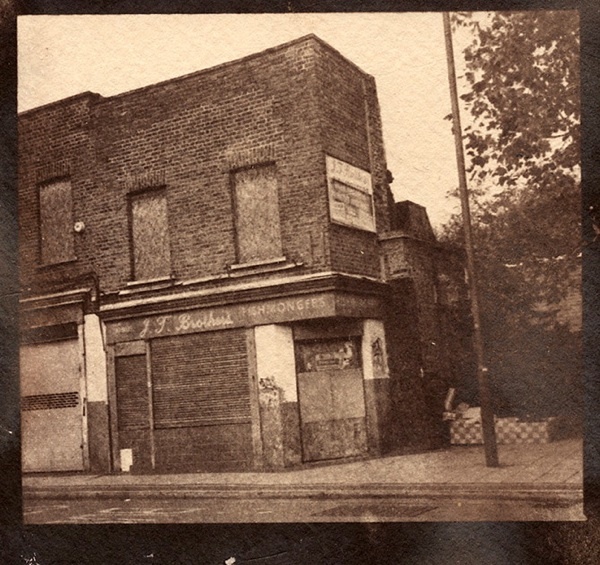 (The shop actually was 193 Brook Drive SE11 not Oswin St).